Nikon released a new DX-Format DSLR camera for serious enthusiasts earlier this year (announced on April 12, 2017 to be exact). It is the latest model release in DX-Format series and comes with the 20.6 Mega Pixels on the image sensor. After releasing major updates on DX-Lineup back in 2013 with D7100, Nikon didn't offer much revolutionary features in D7200. 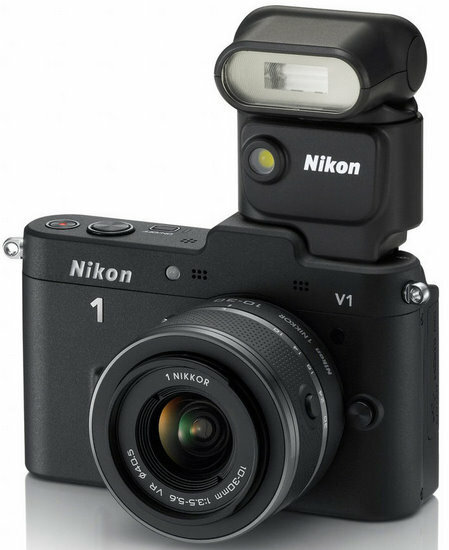 But Nikon's latest release came with some exciting features that sits between last year released Nikon's flagship DX-Format digital SLR camera, D500, and an earlier model D7200. It carries some of the best features from D500, specially imaging quality, and the body type of D7200 making it the best DX-Format for someone who is trying to upgrade from D7200 but do not want to commit for the more expensive D500 yet. Nikon released D7500 (body only) with the price tag of $1,250 and if you want to get it with 18-140mm kit lens, it costs you around $1,750. 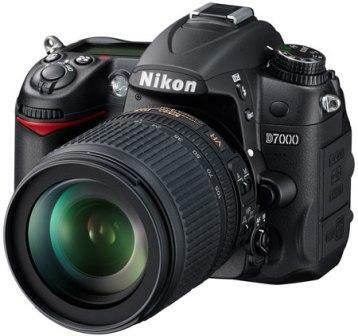 Since it is the mix of D500 and D7200, it has the best of both bodies with some added new features. Now, let's review some of the features available on new Nikon D7500 and what are the upgrades from it's predecessor, D7200, and compromises from the flagship DSLR, D500. 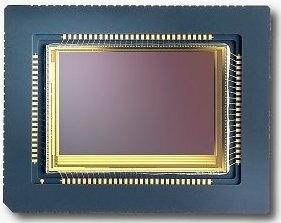 Improved Sensor and Processor - D7500 uses the same imaging sensor and high-performance Nikon EXPEED 5 imaging processor that is used in D500 which is 30% faster than the EXPEED 4 processor used in the D7200. It gives D7500 a huge advantage over D7200 for many key areas like buffer speed, image quality, video capability and better ISO performance. The price is a steal if you are looking for an upgrade from other lower end DX-Format DSLR. New Body Design - The 'carbon-fiber reinforced' body has been redesigned to make it lighter (1.6 oz. or 45g lighter than the D7200) and little smaller. Nikon introduced D7500 with the tilting screen and the touchscreen feature. Nikon D7200 had a fixed screen but D500 came with the tilting screen. However, D7500 has a fewer pixel (resolution) on the LCD screen than D7200. 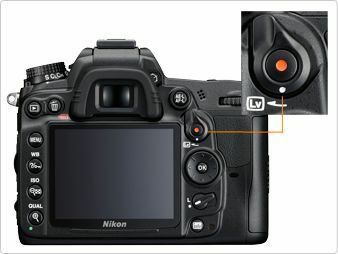 The D7500 has the same control layout as the D7200, with a mode dial on the top. D500 had more professional bodies style mode dial, however. Another feature that D7200 had and D7500 lacks is a dual card slot. It might be a deal breaker for some photographers, wedding photographer specially, because shooting with only one memory card is a risky job. Performance (Frame per second and Buffer Size) - The D7500 increases the shooting speed to 8 frames-per-second continuous (up from 6 FPS in D7200). This is an excellent feature to have for sports or wildlife photographer. D7500 also comes with a buffer capacity of up-to 100 JPEG images and 50 RAW (NEF) images using high quality images and 14-bit setting with lossless compression. Buffer is a space in a camera body where it stores images before writing it to the memory card. That is why it is a very important feature to measure the shooting performance. To compare, D7200 had 18 RAW and D500 had 200-RAW buffer capacity. Also, D7500 comes with 150,000-shot shutter life. Additional Metering Mode - In addition to already existing three metering modes (Matrix, Center-Weighted and Spot), Nikon has added a new Highlight-weighted metering mode with the adoption of 180,000-pixel RGB sensor (also used by D500) to increase the accuracy of automatically controlled functions, including AF and AE, Auto White Balance and Active D-Lighting. Advanced Creative Lighting System - Since Nikon introduced the new technology to handle the communication between creative lighting systems, D7500 is the first DSLR which comes with the pop-up flash that talks to other external flash units using a radio signal. This is a huge upgrade from the old infrared system, which only worked within limited range and required direct line of sight between the camera and the external flash unit. Captures 4K Video - Nikon D7500 comes with same 4K UHD/30p video recording feature found in D500. If you shoot 4K UHD, it can record up-to approximate 30 minutes. And the movie recorded with this camera is supported by smart devices so that you can view on them quickly without doing any cross platform conversion. You can also create a time lapse video within the camera and output it to an external device using an HDMI port while it is being recorded in camera memory. It also comes with an electronic vibration reduction, which helps to reduce the effect of camera shake while recording hand-held. Let's see briefly what are the good sides and not so good sides of this DSLR camera. 1. D7500 comes with a built-in focus motor, so it works with all AF lenses (for an Autofocus purpose). 2. Weather-sealed body - Even though it is not constructed using magnesium-alloy like other more expensive pro bodies, according to Nikon, it protects against light rain even though it is not completely waterproof. 3. Deeper grip - D7500 body comes with a deeper grip and makes it easy to curl your fingers fully around the grip and feel camera body secure and comfortable in your hand. 4. 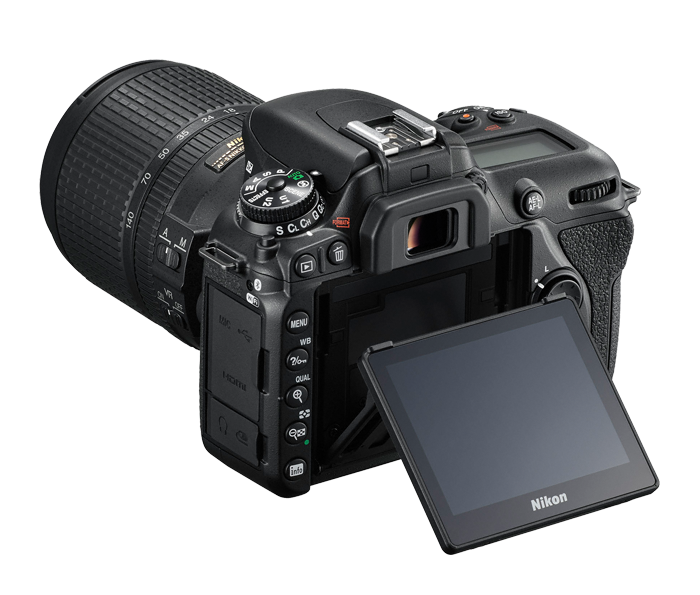 D7500 comes with the support of Nikon SnapBridge system which allows you to transfer the images from the camera to the smart devices using Bluetooth and Wi-Fi connections. 5. 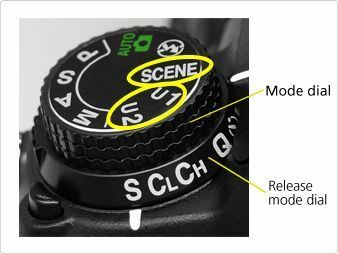 Nikon D7500 comes with a new Autofocus mode called Group-area AF which uses a group of five Autofocus points in a 'diamond' shape and focuses object which is nearest to the camera within that area. This mode is a new addition to already existing 3D-tracking mode and helps to focus randomly moving subjects. 6. D7500 also comes with an impressive maximum ISO of 51,200 compared to 25,600 in D7200. It is set to perform very well in low light conditions. 1. It comes with a single card slot and may be a deal-breaker for some photographers. 2. It comes with slightly fewer pixels in the both sensor pixel (20.6 MP Vs. 24 MP on D7200) and the LCD monitor than it's predecessor, D7200, but might not be an issue to many. 3. Nikon D7500 doesn't have a built-in GPS and need to buy an extra GP-1A GPS unit if you want to track the location of your images. 4. It is powered with an EN-EL 15a rechargeable Li-ion battery which is different from older EN-EL 15 batteries used in D7200 and D500. According to Nikon, the battery can take up-to 950 shots which is slightly lower than on D7200 (takes up-to 1,100 shots) and D500 (takes up-to 1,240 shots) when fully charged. 5. And on top of lower shot counts per battery, it doesn't have an option to install an additional external battery grip like in other professional DSLR models. 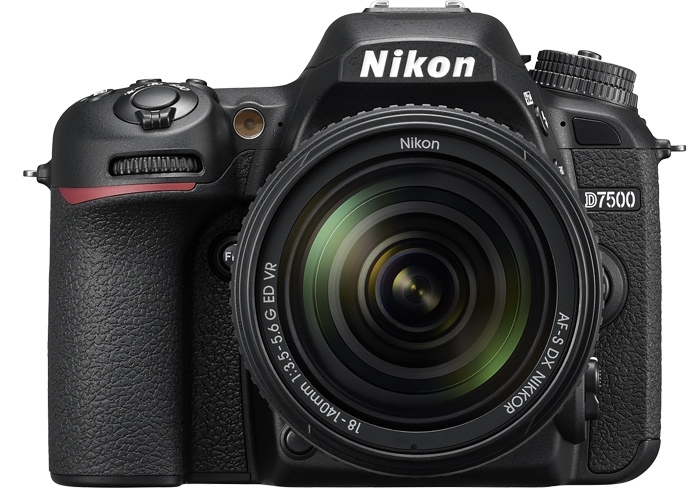 In my view, if you are looking for an upgrade to your older model DSLR, Nikon D7500 might be a perfect choice for you given all the new technologies Nikon has put together into a smaller, lighter and comparatively inexpensive body.